The Last couple of months have been very difficult for me as I lost my mother to a short battle with Cancer. She had a very rare form of cancer which grew incredibly fast and was totally untreatable. I will miss her deeply and think about her every day. It's been extremely difficult to cope with losing both parents within 4 years of each other but thanks to my family and friends I have been able to stay possitive. Hello everyone and Happy New Year. January was a busy month for. I had to finish the last touches to my first picture book (Orchard Books 2016) and I started illustrating a book for Oxford University Press. As this project are still in development I won't be able to show you any artwork for these yet, however, there has been a thing going around Facebook called the Illustrator Challenge where each illustrator uploads 3 images for 5 days. I was nominated by the very talented Steven Lenton and here are the images I uploaded (there are a few extras as well!). They're taken from a number of different projects. Some you may have already seen through this website and others not. Enjoy! 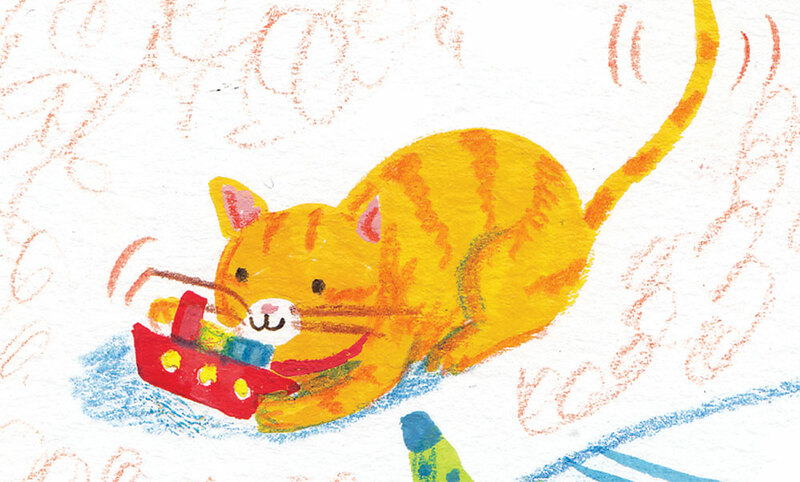 As you may be aware I am currently working on my first picture book with Orchard books. The book will be called 'Super Stan' and is about sibling rivalry. The Super 'Boy' character has been 'flying' around my head for some years now and it's great that he's finally going to be released into the world. I've just been looking at some old posts in my archive and came across this image which was produced back in 2007 (January). Nearly 8 years ago! The character has changed over the years and this isn't even the first image I produced of the Super Boy but unfortunately I can't seem to locate the really early images... Anyhow, here's the image from 2007. I find it funny looking back at my older work and it's encouraging for me to see my work's progression over the years. 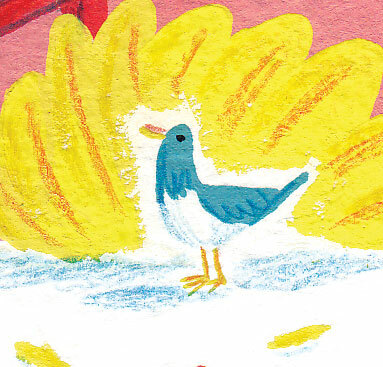 It's all thanks to the Cambridge School of Art MA in Children's Book Illustration! Hi all, it's that time of year again when suddenly people want to spend lots of money on loved ones and they call it Christmas. In the Robertson household I normally produce a Christmas card. I created this on a few weeks back and it may become 2014's card. Haven't quite decided yet though. These are a couple of old characters that I've been thinking of again... Bear and Guin. I have also been involved with illustrating a couple of board books for a very well known publisher but unfortunately this has been shelved for the moment. Here's an image from the project. There's lots of other news to show and tell but that will have to wait until next time as I now need to fly off to Ireland to become a very lucky boy's Godfather. Lucky Fionn!! On Tuesday I was invited along to the Macmillan Book Prize 2014 where I was awarded the Lara Jones Award along with 2nd prize overall. I am chuffed and thrilled that they selected my Blankets book. Everyone at the event was lovely especially Ella Butler, head designer at Campbell Books (Macmillan's toddler book imprint.) I was also very fortunate to chat for a very long time to much celebrated author and illustrator, David Roberts and Emily Gravett. Congratulations to everyone that won a prize and who was highly commended. It was a privilege to be among so many talented individuals. A special congratulations goes to the overall winner, Bethan Woollvin and to my good friend, Robert Ramsden who was highly commended. Here's a picture of me with Ella at the private view. I would just like to show this sweet picture of a little girl called Rosa. We stayed at her parents, Hannah and Dave's place at the weekend which have me the chance to test my book. Luckily she totally enjoyed the book and apparently her mum, Hannah, has had to read the story 5 times. Sorry Han! Last week I exhibited the results of two and a half years of hard labour at my MA show at the Candid Arts Gallery in Islington, London. As I entered the exhibition last Monday to hang up work I felt a huge mix bag of emotions. Firstly I was overwhelmed by the sheer amount of talent on show and secondly I felt sad for this would probably be the last time everyone would be together in one room. What an amazing bunch of people my fellow students are! I have truly loved the experience of getting to know most of the 65 students that graduated this year. There have been many tears and many successes along the way and everyone has grown to become brilliant illustrators. Personally I would love to thank my poor wife who has had to put up with a sometimes very grumpy and stressed husband over the last couple of years. It's been worth while though and I feel ready to tackle the publishing world! One of my favourite comments from my comments book. Thanks Martha! I've had a very busy couple of months. Firstly I started a new full time job at the end of November (on my birthday!) and secondly I completed my masters stage project for my MA. It's been a difficult time but believe I have produced some of the best work that I've ever created. Here is a sneak peek at one of the spreads for my latest book, SUPERSTAN. Next month (11-15th February) I will be amongst a selection of very fine illustrators when I exhibit my work at the MA Children's Book Illustration show in the Candid Gallery, London. It's a celebration and testament to what hard work and determination can bring when you really put your mind towards something. Feel free to come along and to be amazed at everyone's incredible work. Here's a flyer for the exhibition designed by the very talented Simona Ciraolo. Please note: The private view is intended for publishing professionals only. So this week I was asked by a couple of friends of mine, Lottie Stoddart and Emma Armitage to create a panel for their online comic. Each week they take turns with the next instalment of the story and it comes out every Friday! No rules, no pre planning, each week is a surprise. And here is my contribution which will feature in episode ten. Hello. Here's a picture of a child dressed up as Guy Fawkes. I hope you all have a happy halloween and a banging bonfire night. A little sketch produced today for my current project. After I finished the cover in the previous post I was a bit stuck with what to do next so I decided to re-visit the Last Dino project. I wanted to produce something quickly and expressively. This was really just an experiment in mark making and colour practice. My website is finally here! matttheillustrator.com Please have a look around. Here's a little picture of Woody Allen that I produced for the Little White Lies competition. Hello. It's been bloomin ages since I last posted. 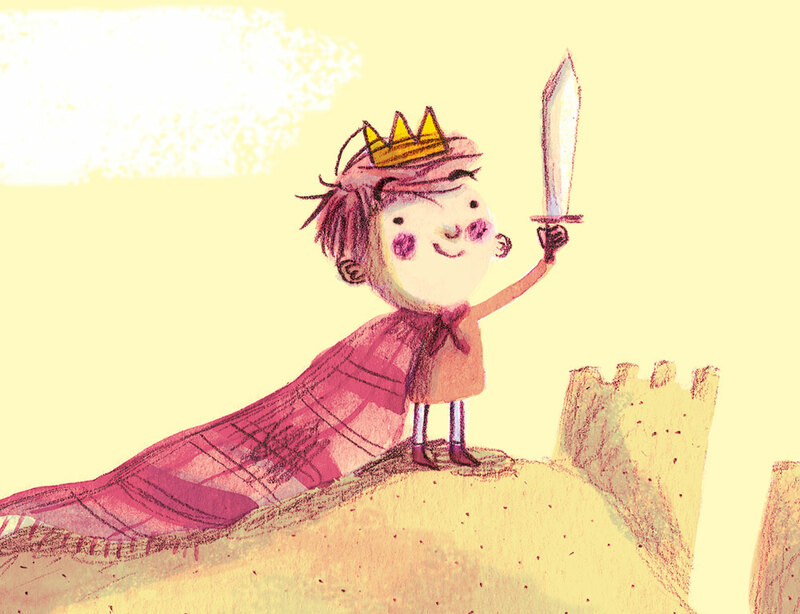 I've been busy working on little commissions and I've been trying to figure out the look for my new book project which I've found to be pretty hard. Sometimes you have an image in your head of what you want the illustration to look like but when it comes to drawing/painting it it's never quite right! Anyway, here's an image recently created for my story about an annoying super brother.